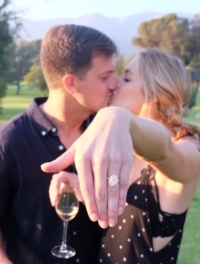 An engagement marks such a special milestone in a couple’s love story. 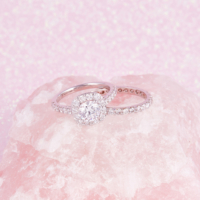 Not only is an engagement ring a promise of a lifetime filled with companionship, love and happiness, these sparklers are probably your most prized possessions – which is why it’s especially important to keep your diamond rings in excellent condition. Missy and Chris had the good fortune of meeting through mutual best friends. Missy's best friend had actually dated one of Chris’s friends and mentioned how she believed the two would hit it off, and they did! On their first date there was an instant connection. There were sparks flying, each having the sense of knowing each other for years. Sonya and Mandy are two lovebirds who were matched on the spot. Literally! 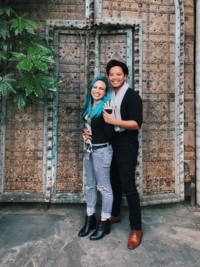 These two actually met at a lesbian singles speed dating event, where there immediate sparks. Although they did share a connection and enjoy the date, they were unable to keep in touch. That is, until three years later when the two matched on the dating app called Tinder! December has two birthstones rich in history. 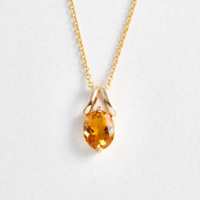 For those of you considered an "old soul," Zircon is the stone for you. It is found in Australian deposits and are actually the oldest minerals on the face of the earth. Similarly, the Turquoise was among the first gems to be mined, and while many historic sites have been depleted some are still worked on to this day. The Topaz is a magnificent stone most commonly found throughout Asia and typically takes on a golden hue. Known as the "Imperial Topaz," this gem was once reserved solely for the Russian royal family. Not only does it have royal popularity but the Topaz also carries a healing energy on a physical level (for digestion) as well as for promoting self-love and emotional balance. If you were born in the month of October, you have the luck of having two incredibly beautiful gems as your birthstone! 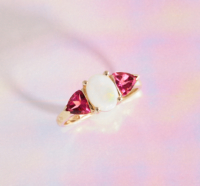 Both the Opal and Tourmaline represent the month of October, as well as the 14th and 8th wedding anniversary. The Opal is most commonly found in deposits in Australia in the town of Coober Pedy, while the Tourmaline is actually most commonly found in California.